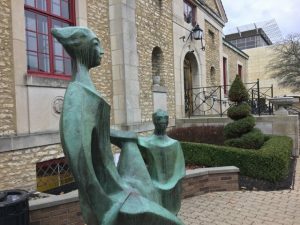 Bexley Archives | What Should We Do Today? 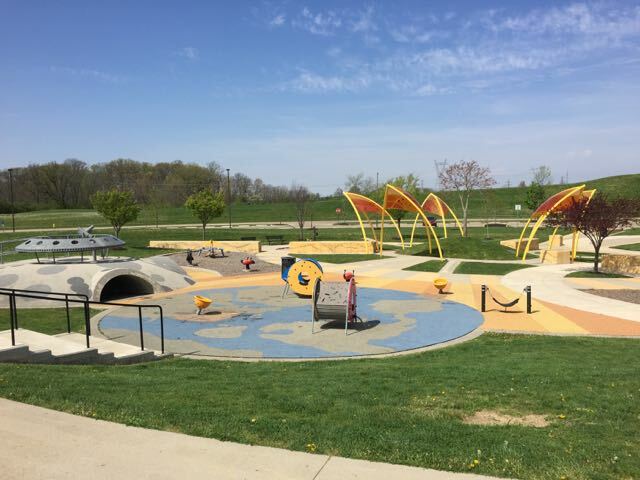 These 6 Columbus area parks are great for toddlers! Maybe it’s just me, but sometimes taking young kids to the park can be a frightening experience. 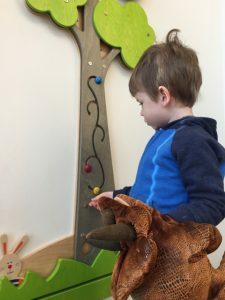 You look away for 5 seconds and all of a sudden your toddler is standing at the top of a climbing wall looking over a 10 foot drop off to the pavement below. 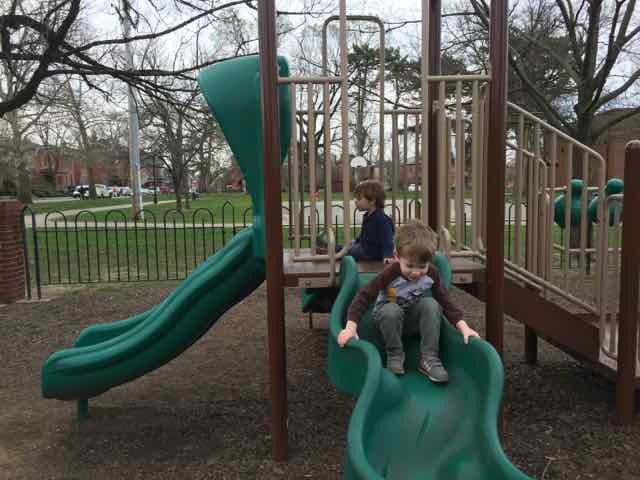 I like to take my toddlers to parks where they can roam freely without a lot of worry that their lack of impulse control (or balance) is going to send us on a trip to the ER. But that’s just me. 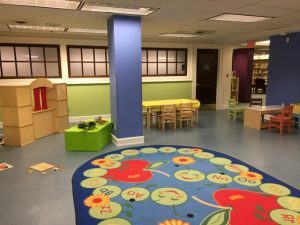 GREAT toddler area here! 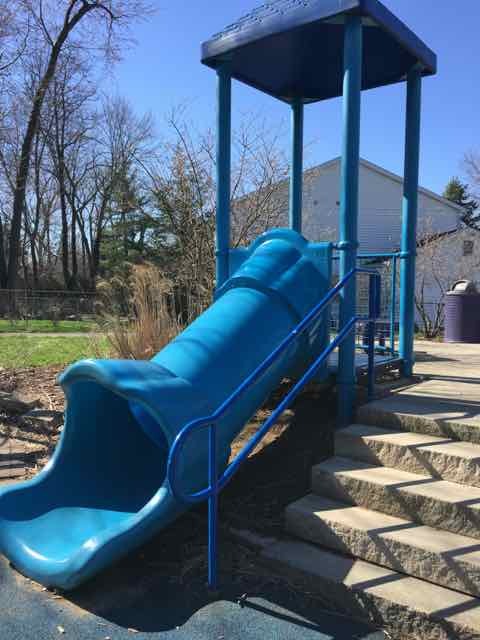 No crazy heights, the small slide is enclosed at the top, and lots of opportunities for imaginative play – on the ground! 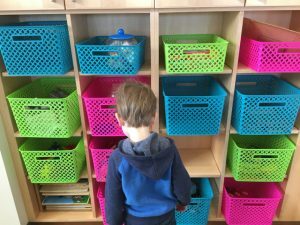 My kids love the snack shack and the house with the blue roof has drums and a xylophone to play on inside, as well as a steering wheel. 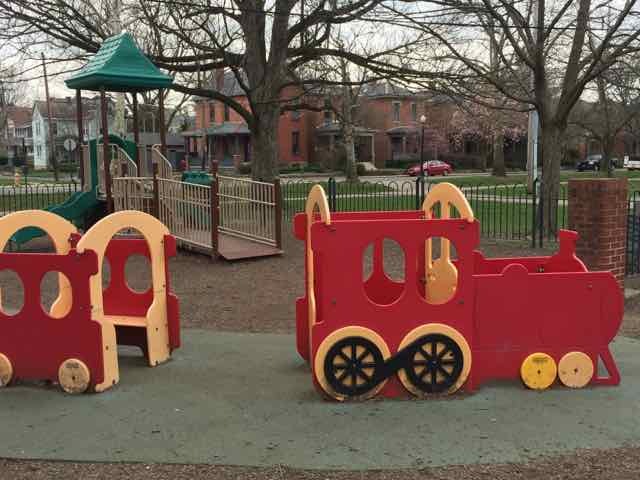 While you’re in the area, check out some of these kid-friendly options in the Short North! 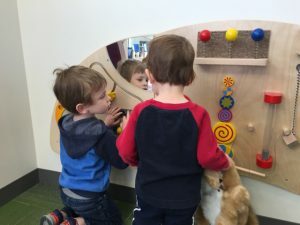 The toddler area here is fenced in, making it a perfect little play area just for the younger crowd! 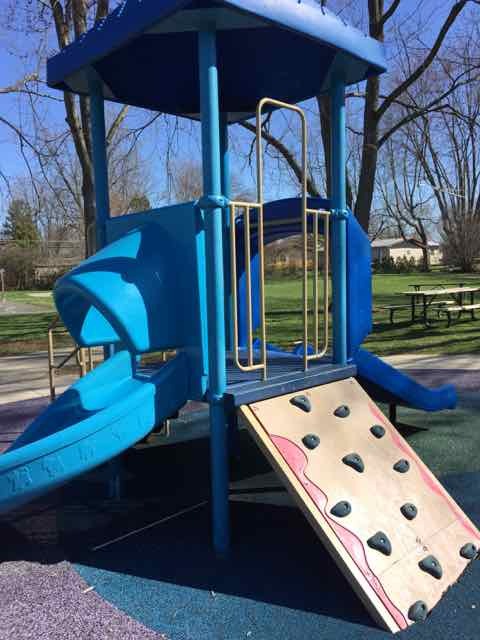 There is tunnel to crawl through, a dinosaur slide and a play house. As a bonus, the grounds here are beautiful and if you follow the path into the woods behind the park, you will encounter a boardwalk along Alum Creek! If you’re in Bexley, add a stop at Kittie’s or Gramercy Books to complete the morning! 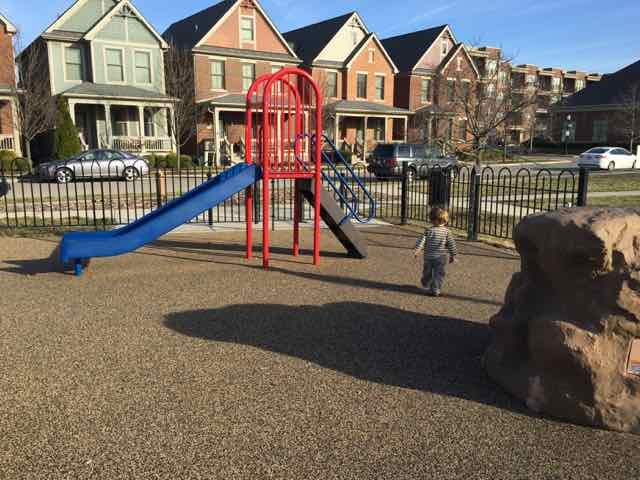 This side of the playground at Schiller park is very toddler friendly. 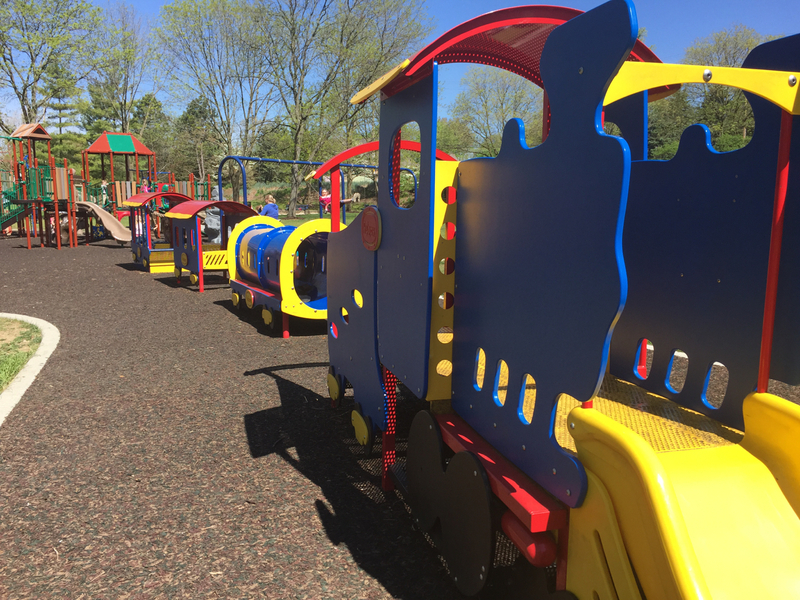 Kids love these trains, and the play area behind it, seen in the picture, is specifically made for the toddler set. It’s completely closed in, there’s a ramp and the slides are so slow my 4 year old got stuck. 😉 There are several baby/toddler swings here as well. Nearby, check out Winans for great coffee and chocolate! My kids had a lot of fun at this park! There’s a toddler play set, infant/toddler swings and a small path around the park that does not cross a road or parking lot. There are a couple of picnic tables and benches here that are convenient for snacking or eating a packed lunch. 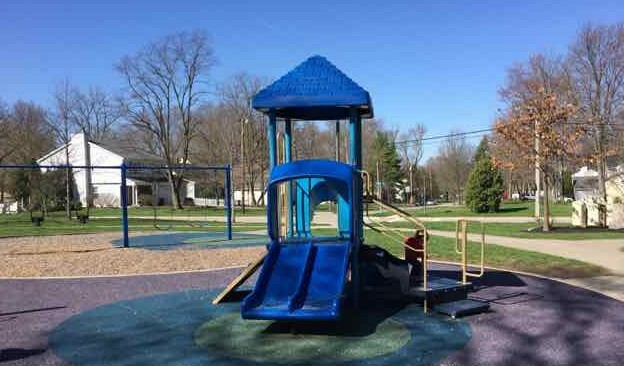 This park is toddler friendly because it is more about space than height. And yes, I mean that literally and figuratively. 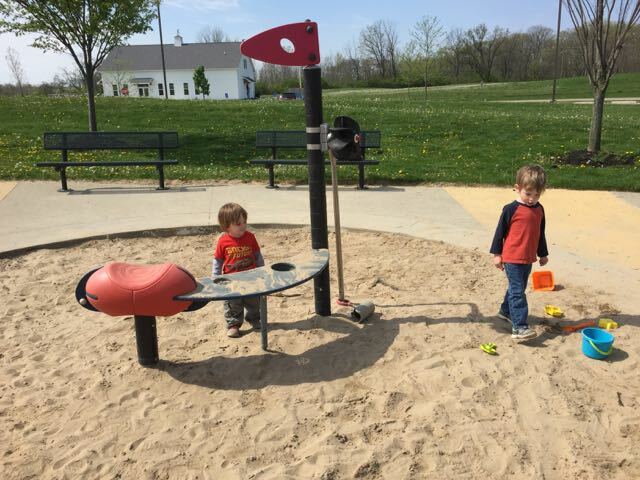 This space-themed park has a lot of area to run, hills to climb and also sand to play in. My kids love running through the tunnel and up the hill that is the moon. 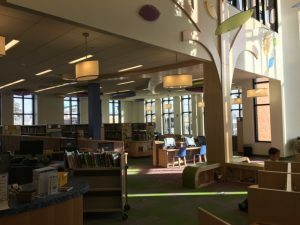 While you’re in Grove City, check out their awesome library! 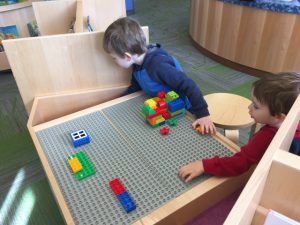 There are several toddler-sized structures to play on. It’s hard to say exactly what space-themed things they are supposed to be, but none of them are very high off the ground, and that’s what matters. At this park, there is also a pond with a path to walk. 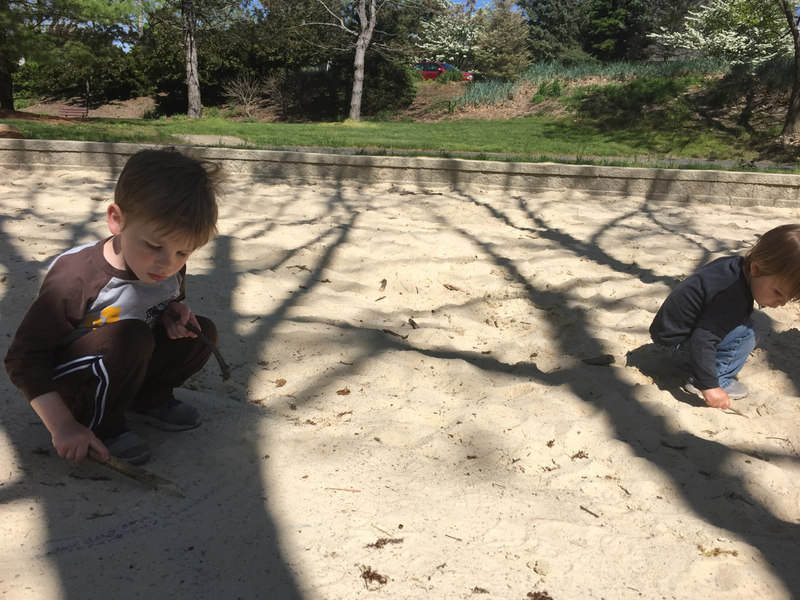 There are several toddler swings here and they are under umbrella cover for shade – another bonus! 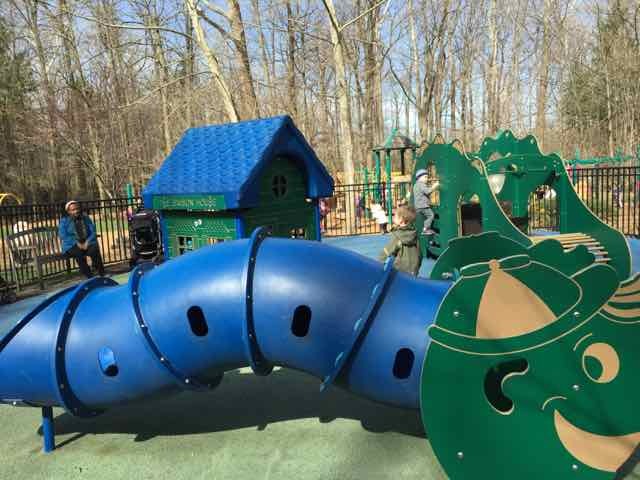 I have personally tried all of these parks with a toddler and lived to see another day! 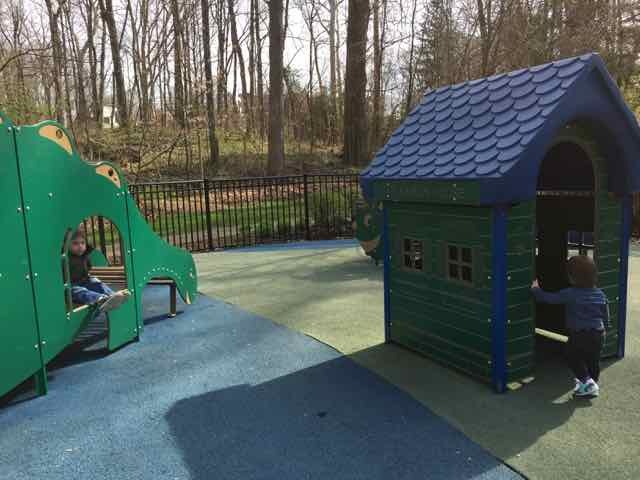 I hope you and your little ones enjoy exploring a new park! 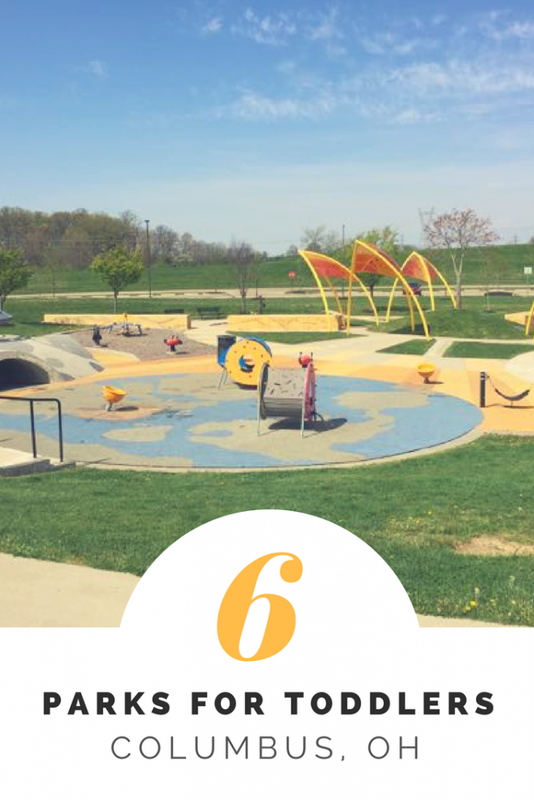 If you’re planning to pick up coffee on the way to the park, I featured two of these parks in my post Coffee+Park: 3 Parks Within Walking Distance of a Coffee Shop! What Should We Do This Weekend? April 14-16, 2017 Easter Edition! There will be stories, animals searching for eggs, a Bunny Bonanza meet and greet with tons of famous Bunnies, and more! Skate with the Easter Bunny during 2 sessions: 11:00 AM – 3:00 PM and 3:30 PM – 6:00 PM! Bring your camera for pictures! Go on a scavenger hunt for spring blooms and find them all for a prize! Come watch the movie Moana with the family! Popcorn and drinks are provided! Join the Hills Market for their $5 pancake breakfast followed by an egg hunt and visit from the Easter Bunny! This Egg Hunt event also includes the opportunity to visit the Easter Bunny, a Kidz Zone, music, crafts, games, inflatables and more! If you click on the link, go to page 16 of the recreation guide for more details! This event will include bouncing, games, a craft, collecting eggs, pictures with the Easter Bunny! Admission is $10/child. This event will include an Easter Egg Hunt, a craft activity, live music from Mr. Eric, pictures with the Easter Bunny and dogs, cats and bunnies from the Capital Area Humane Society! Use your GPS to search for eggs throughout the park! There are prizes and limited GPS units that can be borrowed! This egg hunt for kids up to age 10 includes 5,000 eggs and special prizes! Meet and greet and take photos with the Easter Bunny starting at 10:00 AM, the hunt starts at 11:00 AM and is divided into 3 age groups! Columbus’ largest Easter Egg Hunt includes free food and drinks, face painting, balloons and an egg hunt divided by age! This is a free event and children 12 and under can participate! The Easter Bunny will be on site for this little kids skate (recommended for ages 2-8)! Every child will receive an egg with a prize inside! Bring your camera for pictures! Kids can see all kinds of vehicles up close including a fire truck, SWAT car, race car and more! “Stuff the Charity Newsies Van” by bringing new and used children’s books to donate! The first 150 people who bring a book will receive a free ticket to Monster Jam! 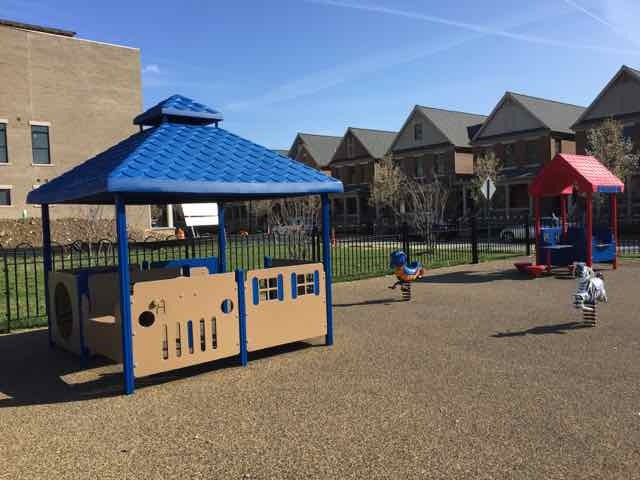 Participate in an Egg Hunt at your local Columbus Recreation Center! All hunts start at 10:00 AM sharp! This free Easter event includes thousands of eggs dropped by helicopter! There will be bounce houses, music, prizes and food trucks! This free event for ages 1-9 includes an Egg Hunt, the Easter Bunny, food trucks and kite flying! Bring your own basket. 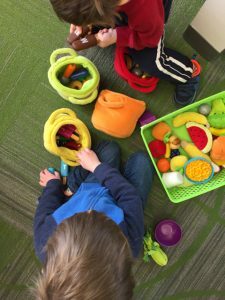 See a full list of Easter Egg Hunts on Columbus Moms Blog: Columbus Area Easter Egg Hunts and Activities 2017! 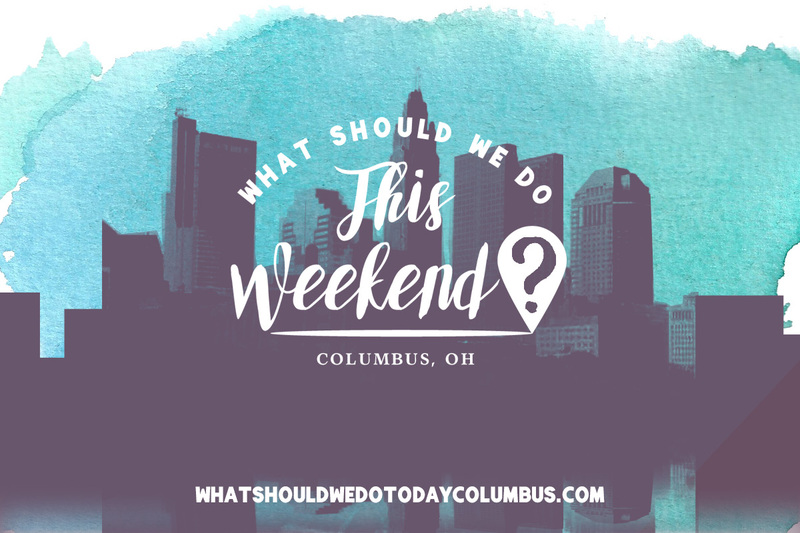 http://whatshouldwedotodaycolumbus.com/wp-content/uploads/2017/03/what-should-we-do-this-weekend-columbus-ohio-purple-1200.jpg 800 1200 Julie Miller http://whatshouldwedotodaycolumbus.com/wp-content/uploads/2018/01/What-Should-we-do-today-columbus-NEW-blue_03.png Julie Miller2017-04-12 15:57:262017-04-14 09:52:36What Should We Do This Weekend? April 14-16, 2017 Easter Edition! 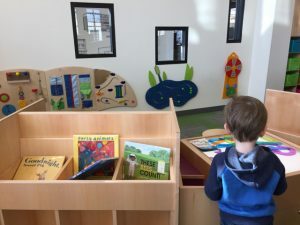 The Bexley Library is amazing for kids! I can’t believe I’d missed out on it for so long! 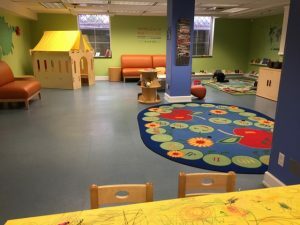 There is a play area for kids that is huge! My kids could have stayed here ALL day! Seriously, we need this play rug! 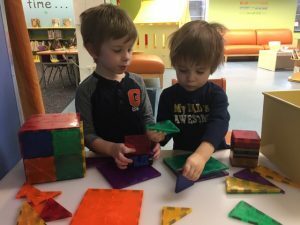 There’s a castle play house, a theater for puppet shows, a table for drawing, magna tiles, letters, dinosaurs, and the list goes on! 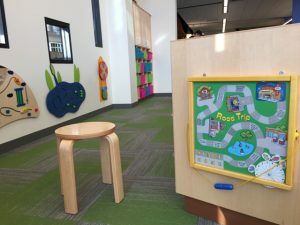 The library offers story times followed by play times in the play area for babies, toddlers and preschoolers. 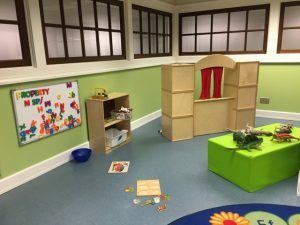 They also have a pajama story time on Wednesday nights and an Imagination Station on Friday afternoons. See the full calendar of events here. Plus Kitties is DIRECTLY across the street with my favorite chocolate chip cookie ever! 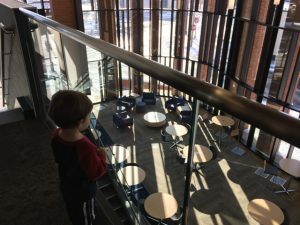 The Grove City Library opened up in the fall of 2016 and we visited around the holidays. 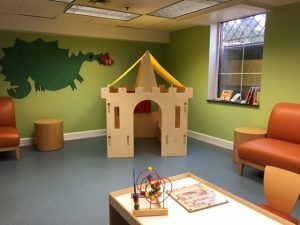 Another GREAT kids’ area here! 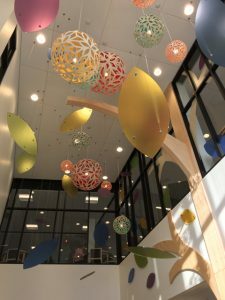 The space is large and open with lots of natural light! 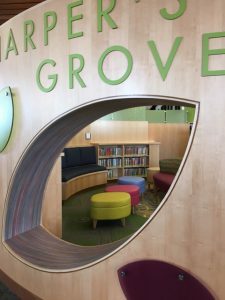 The children’s area is called Harper’s Grove, named after Laura Harper, the president emeritus of the Friends of Southwest Public Libraries Board of Trustees. Her donation to the library was in honor of her husband and his aunt, Irene Harper who was the first librarian of Southwest Public Libraries! 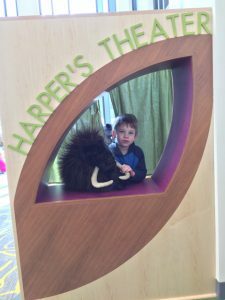 Harper’s Grove includes, reading areas, a puppet theater, an interactive learning wall, light table, duplos, and baskets full of educational toys in the Play Corner! 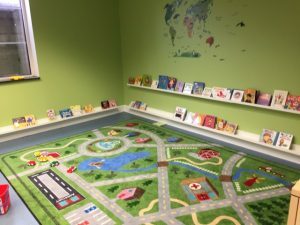 The library offers several story times throughout the week, programs for teens and activities on Saturdays, too! See the entire event calendar here. 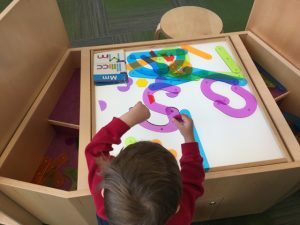 If you’re looking to shake up your library routine, these two libraries would make for a GREAT morning out with the kids! 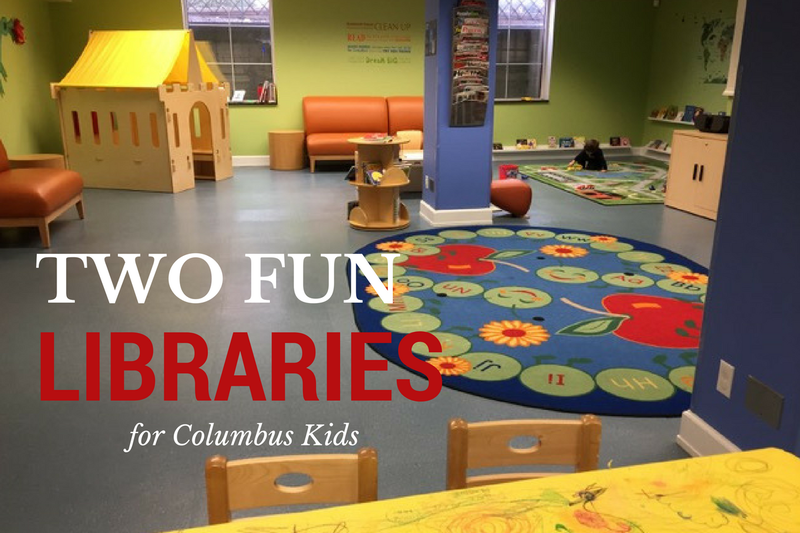 And don’t forget to check out Two MORE Fun Libraries for Columbus Kids!